We’re so happy to be a part of the Sarnia & District Humane Society Golf Tournament. We hope to see you out there! Thanks to all of those who came out for such a great cause. The tournament was a blast. This year the tournament is thrilled to announce that they raised over $36,500.00! The funds raised during this event will support current lifesaving Breast Cancer research initiatives at the Pamela Greenway-Kohlmeier Translational Breast Cancer Research Unit at London Health Sciences Centre. On this special day we’d like to say thank you to all of our family, friends and patients who served our country. 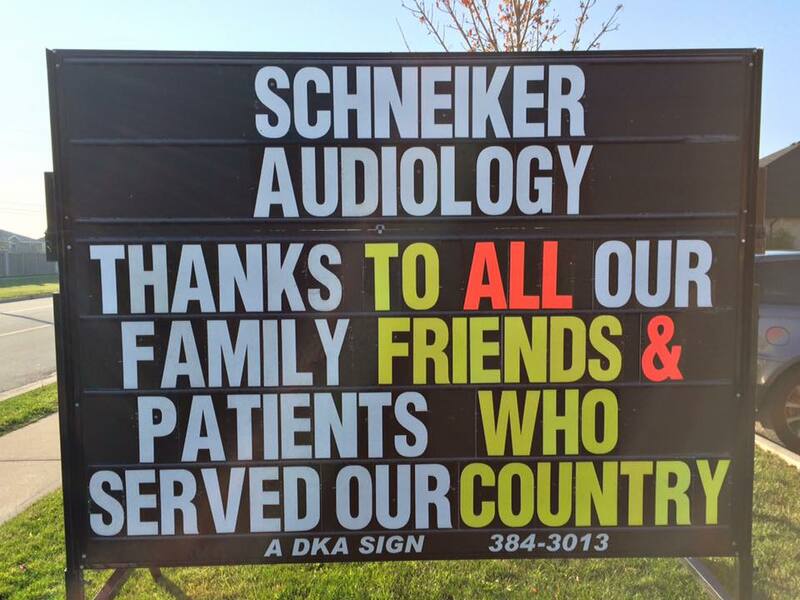 At Schneiker Audiology we have always been proud to serve our community, and we are as committed as ever to maintaining that presence. There are many hearing clinics to choose from in the Sarnia area, but you come to us because we stand out as the one that goes over and beyond to care for you and yours. That’s why we are staying away from resolutions in 2016: we want to keep doing those same things we’ve built our reputation on in this community. We just think we can do it even better this year. The motivation for building our clinic the way we have comes from within. All of us truly believe the best way to live and work in a community is to offer complete, genuine, old-fashioned service. It’s what convinces every one of our clients they made the right decision in coming to Schneiker Audiology and it’s what makes us love our work so much. We want to get to know our patients on a personal level because that’s what is going to help us take care of you the best. We take the time to get to know who you are, what you like and need and what you don’t particularly like either. We visit our patients at private homes or hospital rooms. We do all of this because that’s what you would expect your family to do, and that’s how we think of our patients – as our family. A new take home portfolio will be available, containing useful information about who we are and what we can do for you. It will also have valuable strategies for coping with hearing loss, helping those experiencing hearing loss, and caring for your hearing equipment. Our website will stay up to date with practical information and news about how the science of audiology is constantly working to make your life or the life of your loved one better. We’ll maintain our community involvement through a number of charitable events and we promise to tell you all about them. Ultimately, our goal comes down to this: we want to do everything we can, both as professionals and human beings, to bring our families together and draw closer as a community, improving the lives of the people that matter most to us – the Schneiker Audiology family. We know we can do it, and we are looking forward to an excellent 2016! 2016 has started off with a flurry of activity and some exciting goings on. Our news might not be as glamorous as the red carpets rolled out during Hollywood’s award season but that isn’t really our style anyway. Still, we are thrilled about our involvement in the Sarnia community so far this year and so we thought we’d share a bit about what’s been going on with us and maybe even drop a little teaser about an upcoming event. 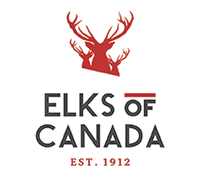 First of all, we are proud to have been nominated by the Sarnia Lambton Chamber of Commerce for an Outstanding Business Award under Marketing and Promotions. This nomination, while it is by no means the motivating force behind what we do, comes as a nice piece of validation for our approach to operating a business in our community. It proves that if you work with integrity and a real sense of care and responsibility toward your patients, people will notice. We also want to send out a big thank you to the People’s United Church for hosting an event that we were privileged to be a part of. On February 18th 2016 we held a lecture with one of the world’s leading suppliers of hearing technology, Widex. Vlad Mitreski, our representative from Widex, touched on topics like the signs of hearing loss, the benefits of hearing aids, and emerging technology in the field of Audiology. It was a great opportunity for us to reach out directly to those in Sarnia who benefit most from a message like this and we want to thank, in particular, Warren and Pat Bishop for making it possible. Finally, we are especially excited to let you know about a unique experience we are planning for the near future. Ten of our existing patients with older hearing aids will be given the opportunity to join us for dinner and a test drive of the premium hearing technology we offer today. It will be the perfect real world setting to offer a taste of what our newer hearing aids can do, even in a difficult environment like a restaurant. We hope it will demonstrate how much these technological advances can improve the quality of our patient’s lives but also reaffirm how dedicated we are to helping connect that technology to those who need it most. Even with all of this going on, our main focus continues to be on personal, old world service and we are not stopping any time soon. We promise to keep it coming and we’ll provide more updates along the way. Schneiker Audiology would like to extend a warm thank you to Troy Shantz and The Sarnia Journal for helping us spread awareness about recent hearing aid cuts. We’d love for you read Troy’s article titled: Workers with hearing loss stymied by hearing aid cuts. 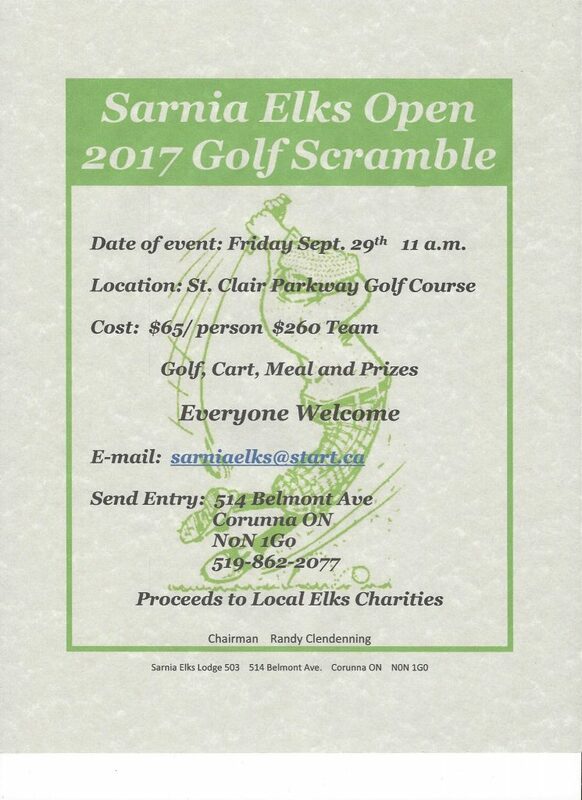 We’re happy to announce that Schneiker Audiology is sponsoring and playing in the 2017 Sarnia Elks Golf Scramble. Winter continues to grind on in Southern Ontario and so naturally we keep our patients in mind as we all work through the cold and dark and try to make the most of our winter months. Winter can be great, but it comes with its own set of challenges too, particularly for our elderly family members. With that in mind, here are some tips to surviving the season by staying active and warm. Staying active in the winter can be a real challenge. It’s cold outside and more difficult to get from one place to another. In spite of the challenges, there are things we can do to get our blood flowing and our muscles active. Home workout videos can get you active at your own comfort level, in your private home. Yoga works great too – even beginner level stretches can work wonders for cold, tired muscles. If you can get there, malls provide a bright, warm forum for a long healthy walk. Feeling warmth is also important, and there are a number of ways to make sure we keep our bodies and minds in optimal health. Diet. Maybe the fruits and veggies of summer have gone, but there are still healthy options out there. A hot bowl of oatmeal and maple syrup can warm you up and brighten your day. Root vegetables like carrots, beets, potatoes and onions are still plentiful and have loads of nutrients. Physical Warmth. Blankets, warm cups of tea, hot water bottles or heating pads can all work wonders to keep the cold out of our bones. Turning your ceiling fan on low in a clockwise direction will circulate warm air back down to you and not out the roof of your house. The warmth of loved ones. There is nothing like the voice of a friend or relative to pick up your spirits. No one should miss out on this because they can’t hear well over a conventional phone. Schneiker Audiology has high tech phones that will keep you connected to those that matter most to you. It matters to us that our family is happy, content, safe, and well taken care of – at any time of year, but particularly now in the cold of winter. Let’s not just survive these winter months – let’s make them great. Together we can. No matter how much, or how little, you love the winter it’s hard not to look forward to spring. The earth itself seems to be coming back to life as colours reappear, the air feels warmer and smells fresher, and you can just about taste all the local produce just around the corner. Of all the sensory delights of spring, however, none are greater than the sounds! The old favourites likely come first to mind when you think of the sounds of spring: the birds returning and bringing their unique songs along with them, kids laughing and playing in the park, the wind rustling through new green leaves, and the sound of rainfall on your roof. When you take a moment to think about these sounds and really just enjoy them for what they are and what they represent you realize what a miracle and what a privilege your hearing truly is. Of course, maybe the most meaningful sounds are the ones more personal to you, and we understand what it means to lose the ability to hear them. It’s for that reason that, while we celebrate sound itself this spring, we urge you not to miss out in your own lives. Modern hearing aids can work wonders in terms of restoring the ability to take in all the sounds that make your life special and unique. There is a solution for so many going without the gift of sound and we want to share it with you. If you want to know how Schneiker Audiology can help you get the most out of spring, contact us now to find out. If you are among the many who we have already helped regain their sense of sound, reach out and let us know what spring sound you most appreciate hearing this season. Either way, we look forward to hearing from you. Our Audiology Clinic is an established family owned hearing clinic located in Sarnia, Ont. atmosphere as well as independently! This is a 1 year fixed term position. At least One Year of experience in Office Administration. Salary: To be discussed upon interview. Drop off Monday – Friday 9:00 am – 4:00pm. Job Posting will be open from April 4 th 2018 until April 16 th 2018.